Lock # 8 looking south. My friend, Larry Delaney and I planned a hike last week, but the chance of rain forced a “rain check.”However, this morning proved just the opposite with a cloudless blue sky beckoning to be walked in. The site we chose this fine morning was the Armstrong Rails To Trails area from Mosgrove, Pennsylvania north to Templeton. 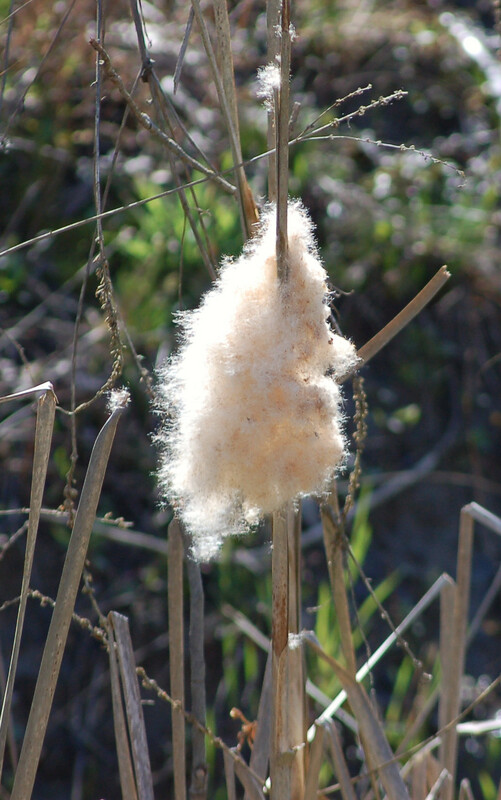 The morning had a stiff breeze flowing across the river hitting us both in the faces. In a short time, the warmth of the sun cancelled any coolness we felt. 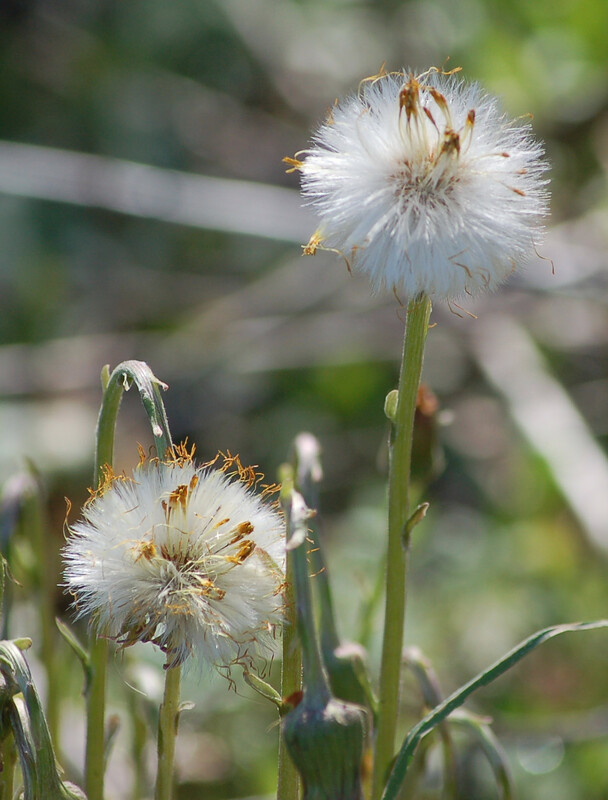 As we walked along we were always watchful to seeing wildlife and spring wildflowers. We weren’t disappointed! 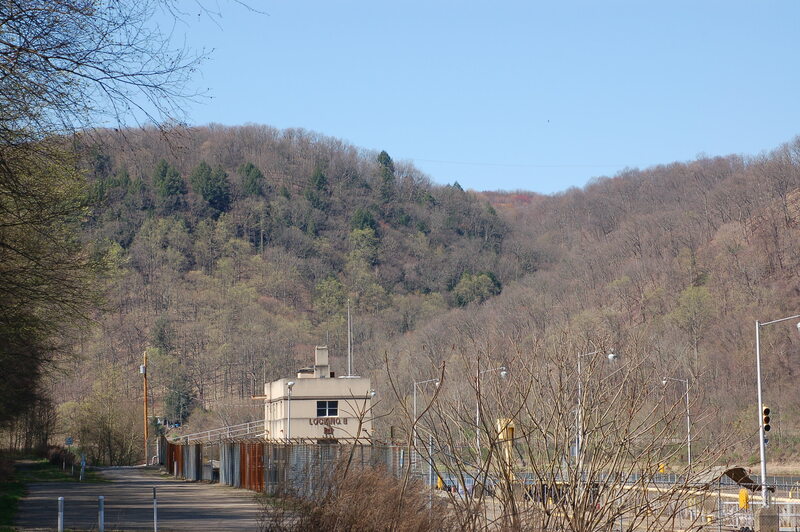 We passed Lock Number 8 on the Allegheny River along state game lands. 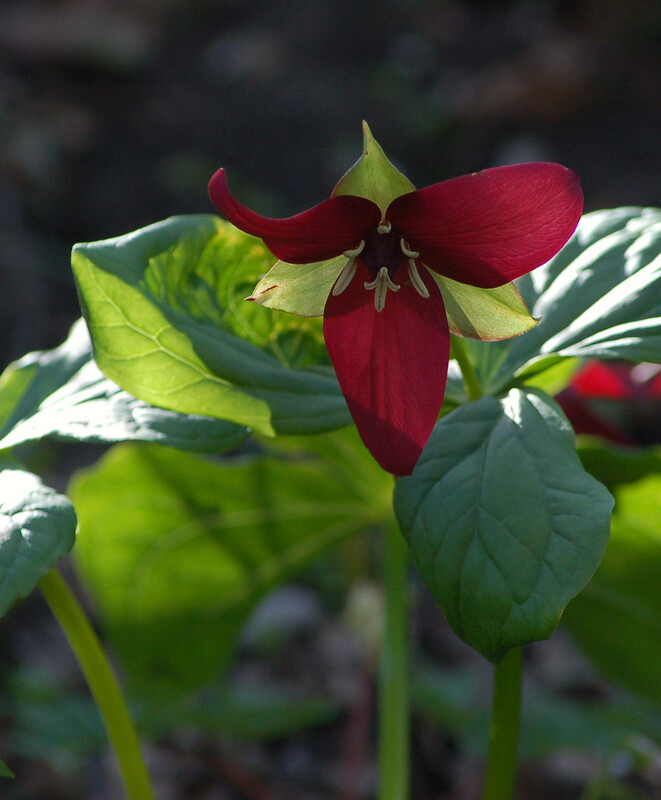 The game lands is rich in trilliums, both the white and purple varieties. This specie is a personal favorite. The first three letters of the specie name says much. There are three leaves and three flower petals per stem hence the “TRI”.. Some of the waterfowl we saw along the way were Canada geese, mallards and wood ducks. The woodies were found in back water areas along the Allegheny. 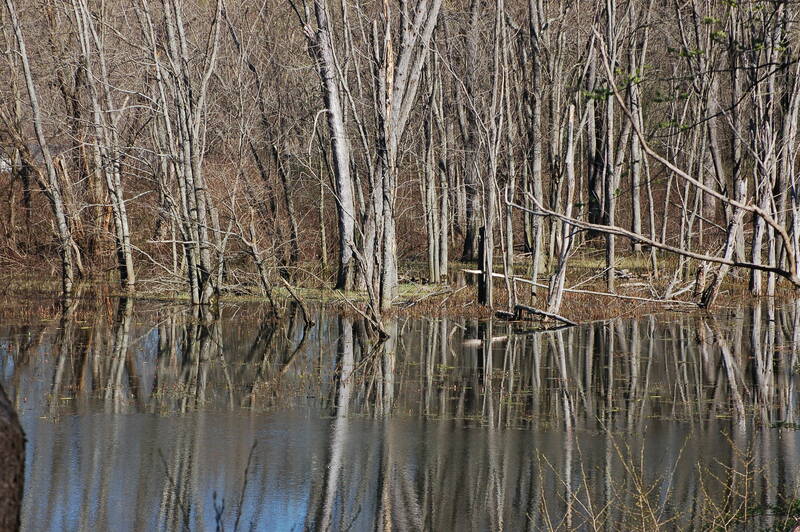 A beaver dam helped make the waters higher, but calm. We, also, could see some ducks far off on the river. We suspect either buffleheads, scaups or goldeneyes. 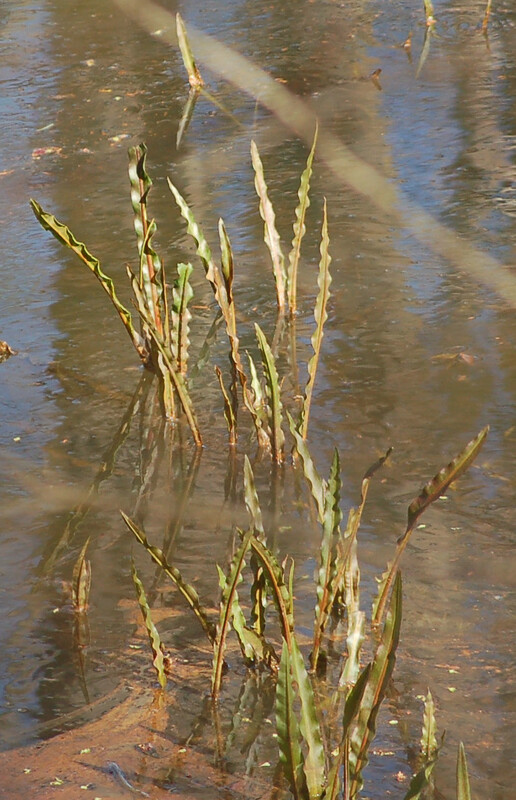 A couple of early spring vernal ponds were along the trail too. 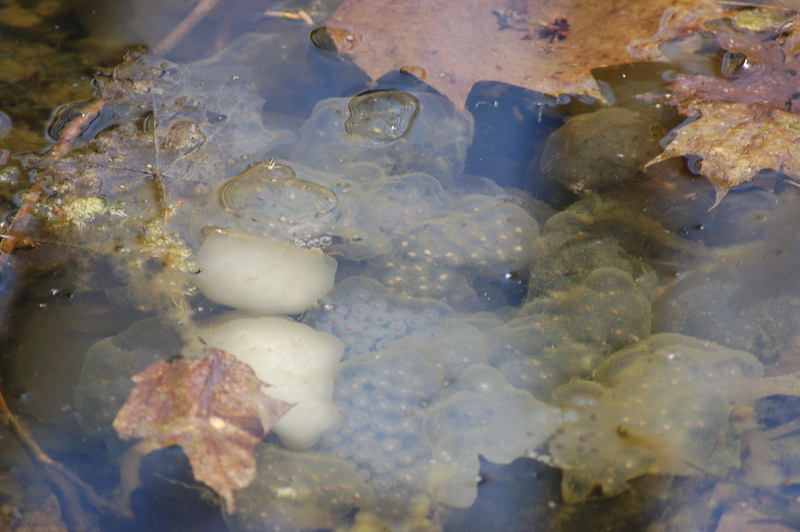 here we could see frog eggs and some small tadpoles already hatching. Turkey vultures were always viewed. The steep river hills provide great nesting areas for these carrion loving birds. A few gull could be observed flying around the river too. The highlight for us was the sight of a bald eagle and a mature one at that. The beautiful emerged from the river’s bank and flew across the water. Geese were scolding and the flock of far-off ducks took to the air with the eagle’s sight.I mustered a couple of photos, but unfortunately the quality wasn’t there for a post here. The beauty of Pennsylvania was all about as we looked at the high country and the river and the flowers. We were blessed!